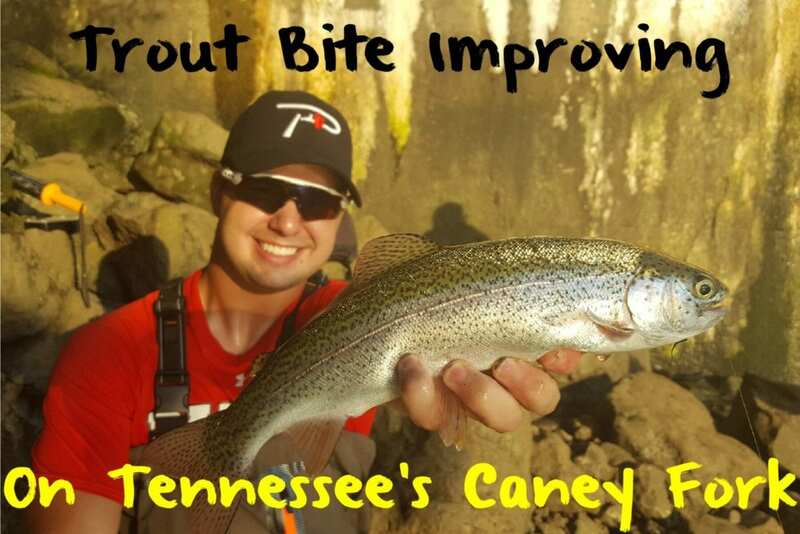 High flows and large releases have kept the trout bite from taking off this summer on Tennessee’s Caney Fork, one of the most popular fisheries in the Southeast. Fortunately, recent cooler weather is aiding the bite. Fishing is improving and should continue to gradually get better through September and October as there’s a mix of fresh planters and holdovers. As always, the most important factor in catching trout on the Caney is timing releases. 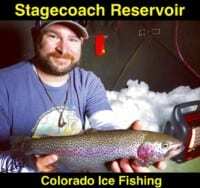 The trout bite is favorable when they aren’t generating for several releases. Most important is when water isn’t being generated anglers find better access to prime fishing spots. In addition, trout aren’t hunkered down and looking to find a soft spot in the water to avoid the swift current. If you’ve fished the Caney, or any of Tennessee’s tailwaters, studying the generation schedule has become a habit. Focus on targeting trout at least an hour after the generation has been shut off and you’ll experience more success. After spending several evenings on the Caney filming Pautzke Outdoors recently we experienced the wrath high flows have on the fishery. We caught plenty of trout, and some nice fish, but had to work hard to catch them. In year’s past this wasn’t the case as catching dozens of trout in a few hours was an easy feat. Fortunately, cooler weather has begun to prevail, which will improve the bite. This summer the best bite has come from the dam on downriver for a few hundred yards, namely where the best public access is found. We found action to be best the last few hours each day. When the sun was high the trout didn’t cooperate, which is normal. While they were tough to come by we caught several trout up to three pounds, but most remained in line with fresh, nine-inch planters. If you’re looking to simply catch trout hooking nine to 10-inch rainbows will be getting easier by the day. All our bites came with two baits: Balls O Fire salmon eggs and the new Fire Balls. This was the first time the trout on the Caney had ever seen the Fire Balls (they are brand new) and our largest ones were caught on them. We used Pink Shrimp, Red and Chartreuse Garlic Fire Balls daily in addition to Silver Label, Pink Shrimp and Natural Deluxe salmon eggs. All were fished on four-pound test and under a float. Drifting them naturally in the current was the key to success. It’s also important to adjust your depth until you find the trout. At times we found them only a foot below the surface, but others we needed to drift near the bottom to get bit. Editor’s Note: Pautzke’s new Fire Balls are available locally at Big Rock Market (931) 858-0967 along the banks of Caney Fork and various Walmart locations mostly in East Tennessee. For information on trout fishing in Central Tennessee please visit the Tennessee Wildlife Resources Agency: https://www.tn.gov/twra/article/stocked-trout.